Can y'all believe the last "official" weekend of summer is here? Labor Day weekend is always a welcome break, but it also makes me sad that summer is pretty much over (although the weather would say differently!). On a positive note though, Labor Day weekend also brings with it the start of FOOTBALL SEASON! I'll be terribly excited and a nervous wreck on Saturday as Auburn takes on Louisville. What do you have planned for the long weekend? Before y'all head out, I'm back to share some lovely links with y'all that I hope are inspiring and fun eye candy. Enjoy! 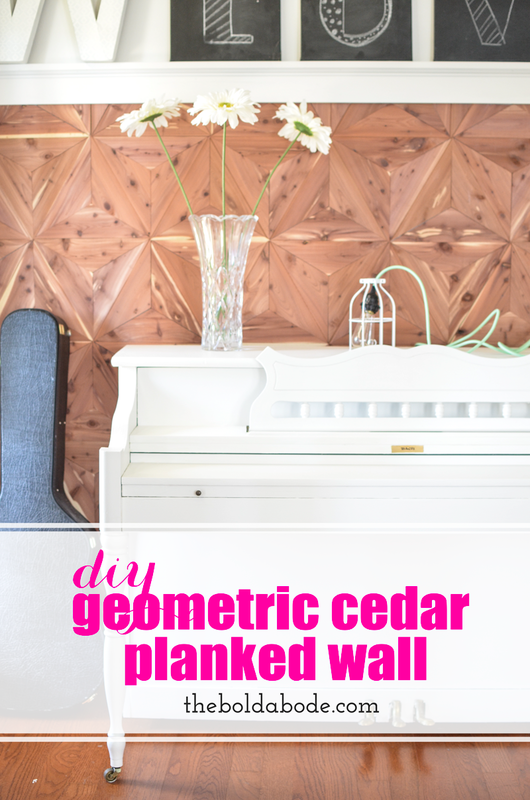 1 | The Bold Abode DIY'd an amazing geometric cedar planked wall. I'm totally in love with that geometric look and how awesome the wood looks! 2 | I'm totally impressed by Sarah Dorsey's ability to assemble her own light fixtures. 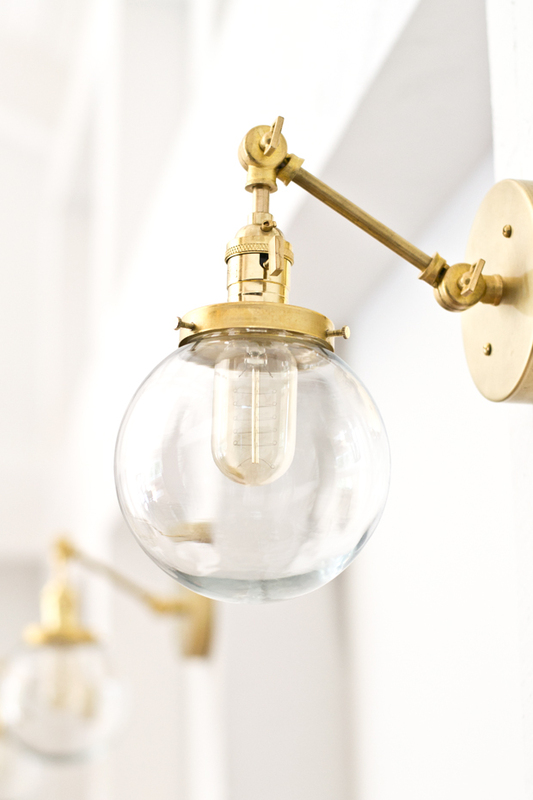 These brass sconces are on point. 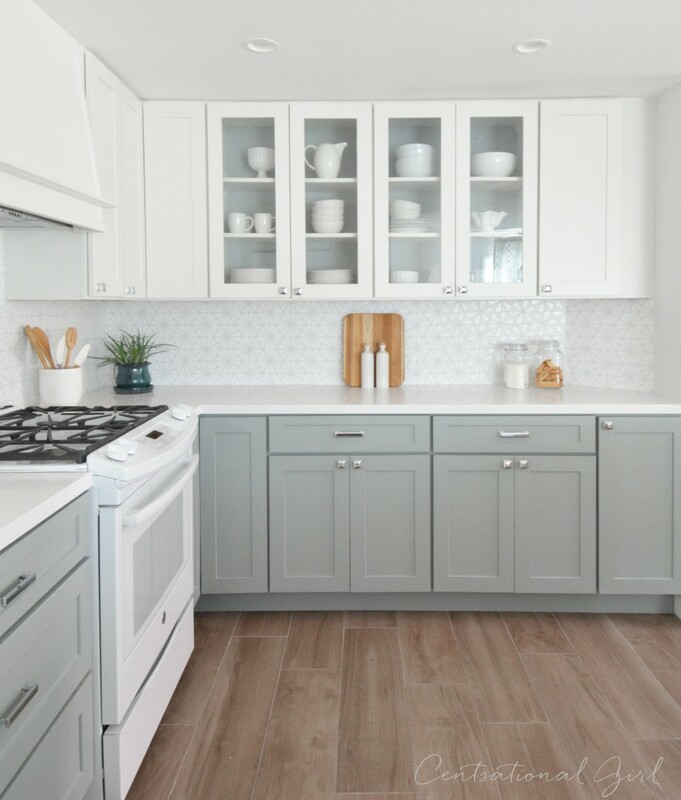 3 | Centsational Girl's latest kitchen remodel is gorgeous! I love that she bucked the stainless steel appliance trend too by using white ones. 4 | Headboards are an essential part of making a bedroom look finished and pulled together, but it doesn't have to be expensive. Here's a list of pretty ones for under $300. 5 | On a totally different note, let's talk hair and makeup. Kate's ability to look incredibly pulled together in 15 minutes makes me want to maybe, try a little harder in that area - mostly the hair part. If it only takes 15 minutes, I can totally do that! Practice makes perfect I suppose! 6 | Lastly, I wish I had written this post because it describes my relationship with design/decor/DIY so well. I catch myself fighting perfectionism all the time and I need these kinds of posts to keep me in check. #canigetanamen? Mido remains as being a solid favourite one of several enjoy hublot replica in the entire world right now. Quite a while after My spouse and i was given yet another enjoy coming from a close family friend in the family members they ended up being the designer watches and yes it ended up being designer watches i even now get even today though. My spouse and i discover the one who presented the idea in my opinion, however they perished a short time ago consequently they along with the enjoy are generally regularly in our head. Mido has become a brand for you to think using during their record involving around fake rolex sale, using designer watches which have been for the purpose of enjoy home chefs along with figuring out consumers. The idea concentrates on core budget designer watches that include a thing particular along with intriguing. Mido prides themselves using generating amazing designer watches. The idea needed a good cheap rolex replica just for this for being common because 1st true employ what food was in your military services along with designer watches ended up donned by simply members of the military in order that they may synchronise combat strategies, check out occasion with no fumbling which has a bank account enjoy. That copper light is so great!